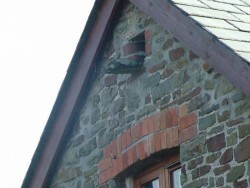 If your area is suitable, it is perfectly possible to create an excellent, permanent nesting space for Barn Owls in a loft or roof space. 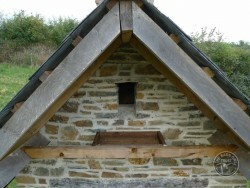 Many types of rural building can have an owl roost or nest space built-in. 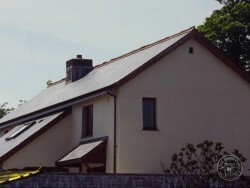 The presence of Barn Owls will not usually result in the refusal of a planning application for a barn conversion. 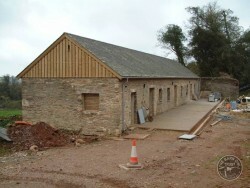 We support the renovation and conversion of old buildings as long as permanent provision for Barn Owls is incorporated into the design. 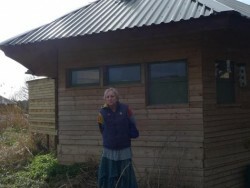 After all, an unused derelict building, however picturesque, will only deteriorate and eventually become unsuitable for Barn Owls to live in. 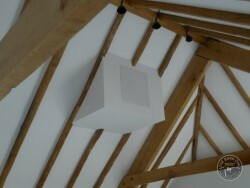 Perfect configuration: 600mm roof overhang, perch & exercise platform, leading to a 500mm deep nest space. At or close to the top of the building is best. 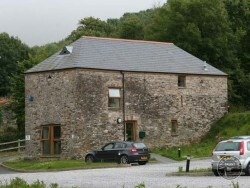 A specially made dormer in a barn converted to offices. 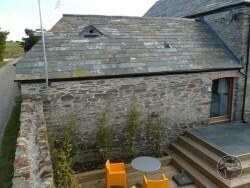 Here the owl’s space is entirely within the thickness of the wall. 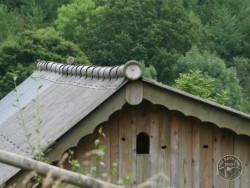 Here, half of the owl’s space is withing the fabric of the roof. 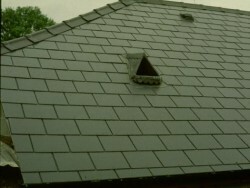 A close-up of the same dormer. 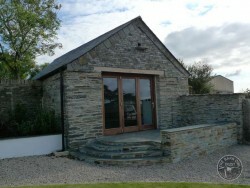 Note the slatted platform outside. 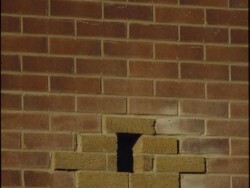 This hole goes into a very small residual loft space. 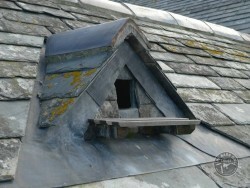 This tiny lead dormer contains a passage that leads to a nestbox. 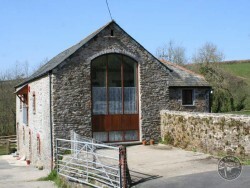 Not a conversion but still a good opportunity for an owl hole. 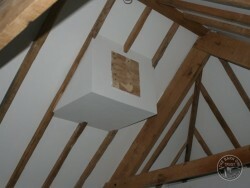 This owl hole leads directly into a good deep nestbox rather than the whole loft. Decorative owl hole leading into a deep nestbox made from a teachest. 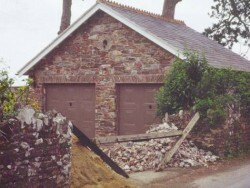 Persimmon Homes created this owl hole in the end of a garage block. 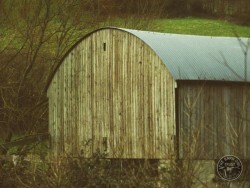 The ideal height for a hole is 250mm – tall enough for a Barn Owl to stand up in. An external platform is not neccessary . . .
. . . especially where the nestbox is not right up against the hole. 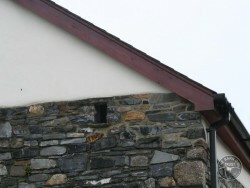 The owl’s space here is within the thickness of the wall so an external platform is needed. 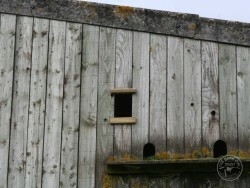 Barn Owl provision in the roof of a Bird Hide! Minimum height is just 3 metres. 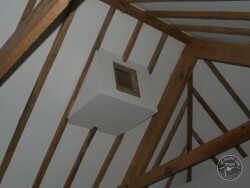 Even with a vaulted ceiling, you can still make provision for Barn Owls. 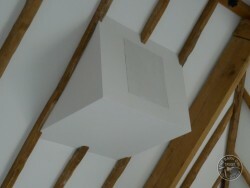 The ‘box’ includes 75mm of insulation all round. Human access is essential. The removable panel is spring loaded.